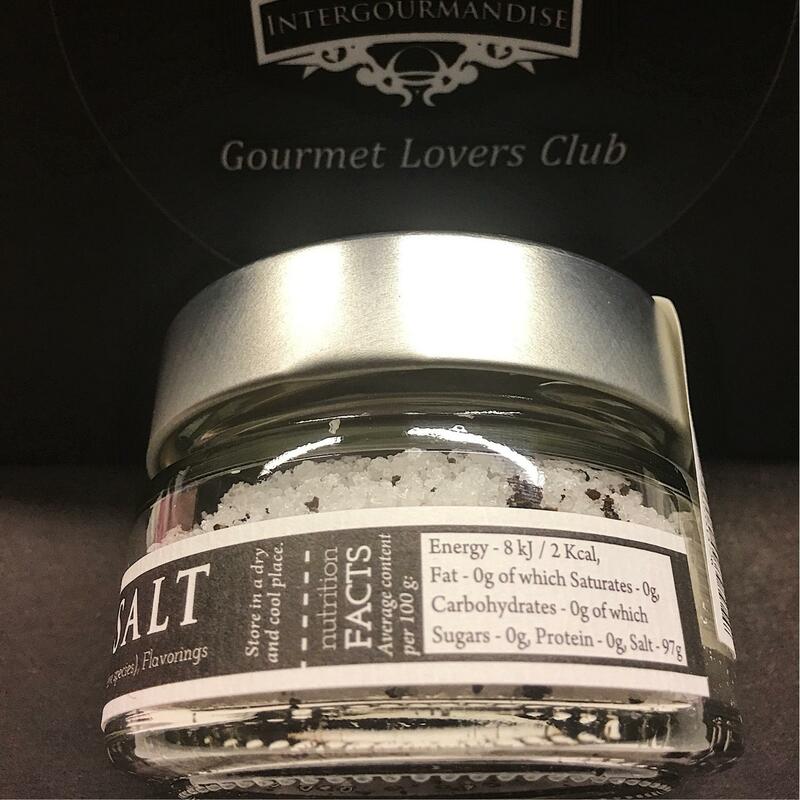 InterGourmandise Truffle Salt is made from the best Mediterranean sea salt (Fleur de sel) mixed with tasty black truffles (Tuber aestivum vitt), a really simple but amazing ingredients for your special dishes. The Mediterranean sea salt is very thin and have perfect taste. 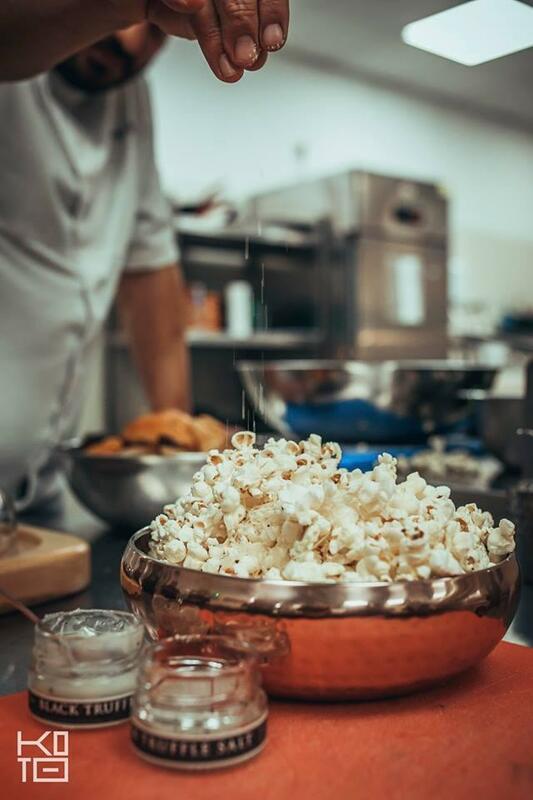 You can feel the Mediterranean spirit in the salt mixed with the black truffles with their rich aroma and taste that come from the heart of Italy . 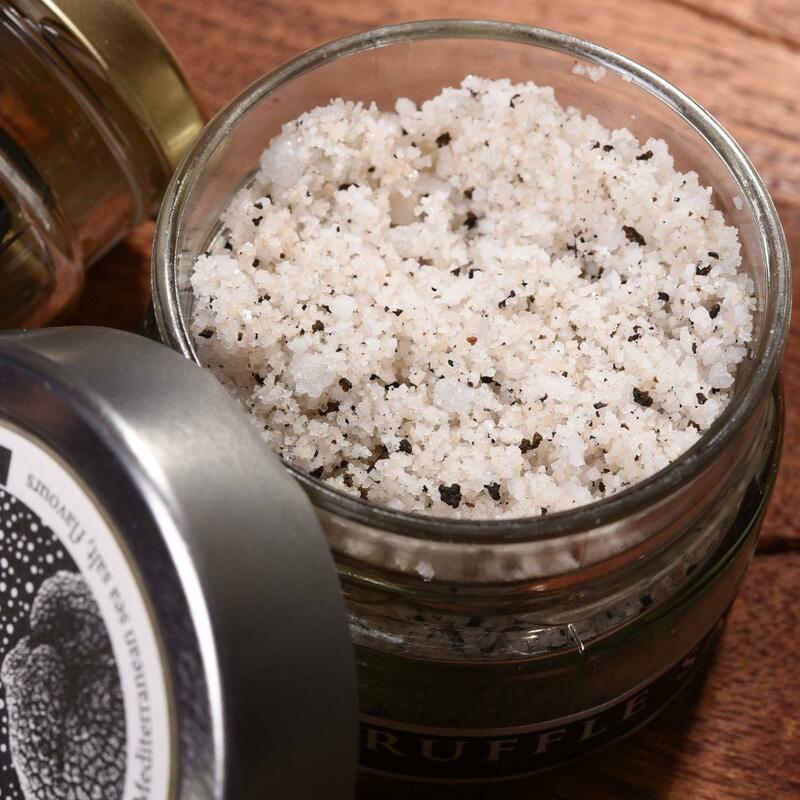 Try our truffle salt on scrambled eggs or omelets, on creamy risottos, on bruschettas, on baked potatoes, fish, meat filet and souses ... 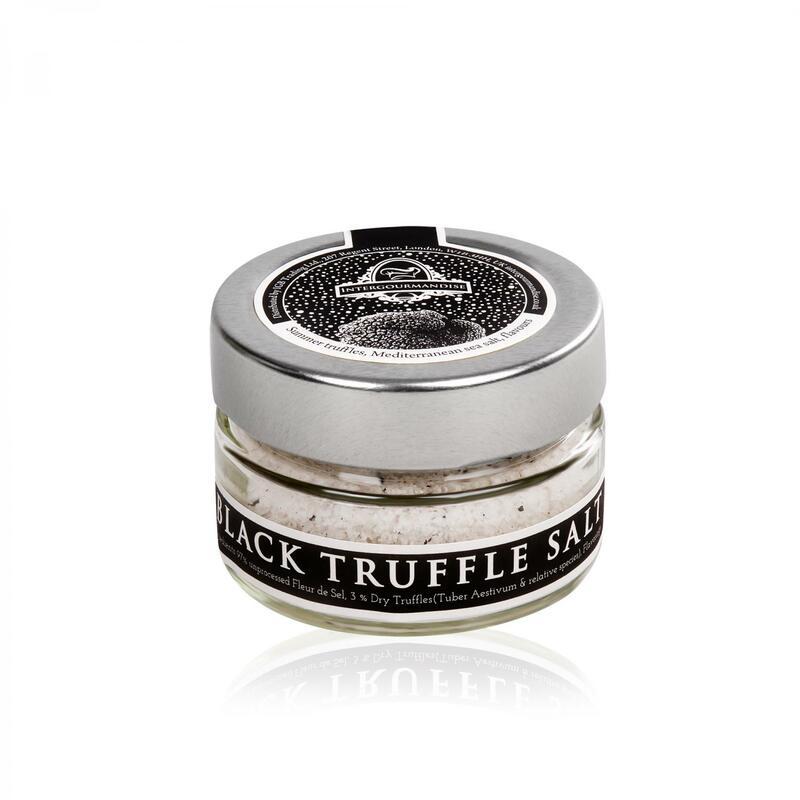 This aromatic and superbly flavored truffle salt is adored by chefs and connoisseurs all over the world. Ingredients: 97% Unprocessed Fleur de sel from Messolonghi, 3% dry truffles (tuber aestivum), flavorings tuber magnatum. Directions: Ideal for chocolate sweets, paste, rice, meat, seafood, eggs, sauces and cheese. Do not use with tomato, lemon and strong spices. Storage instructions: Store in cool and dry place. After opening seal cap tight.